The first CIA exam was offered in 1972, and the program is celebrating 40 years as the gold standard certification for accountants and financial professionals in business. Find out why more than 30,000 professionals worldwide—and today’s top global employers in business—have valued this essential credential: Companies value audit professionals who pro actively seek opportunities to develop their skills and expertise. One of the best ways for individuals to demonstrate their commitment to career growth is by pursuing industry-recognized certifications. "The Prerequisite of the CIA is to have the Intermediate and Bachelor degree credentials to appear in the examination, otherwise there is no as such pre experience of auditing is required." 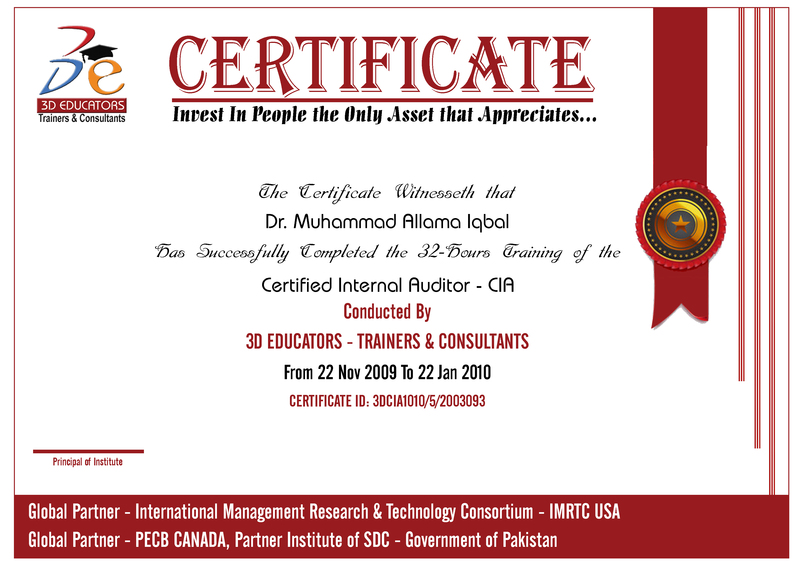 People who would like to develop their career in the field of Internal Auditing and those who would like to take the International Credentials or want to be accredited and Certified. Where the Fresh Graduates, and professional sectors like Banking, FMCG and etc. IIA Certification requirements are continually changing. 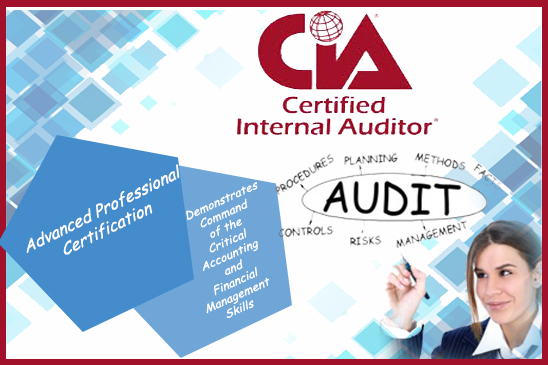 IIA offered CIA - Certified Internal Auditing the world standards defined certification and also the accredited body. The Participants can get the certification from get the specialized training from 3D EDUCATORS and the better designations after getting the CIA Certification. Today, Continuous education is almost required always necessary to maintain credentials. In recent years, organizations are likely to place even more value on certifications as a means of differentiating top job applicants. Accounting, finance, and Internal Auditing managers look to professionals who can demonstrate their knowledge in specialized areas through a combination of work experience and the formal training and education gained -- and confirmed -- during the certification process.